What an intriguing stone!! I was mesmerized in the gem store with the streaks of color against the translucent background, especialy when held up to the light. These pictures show several different styles of these gorgeous earrings. Choose your favorite ear wires, too. The pictures above simply don't capture their beauty. 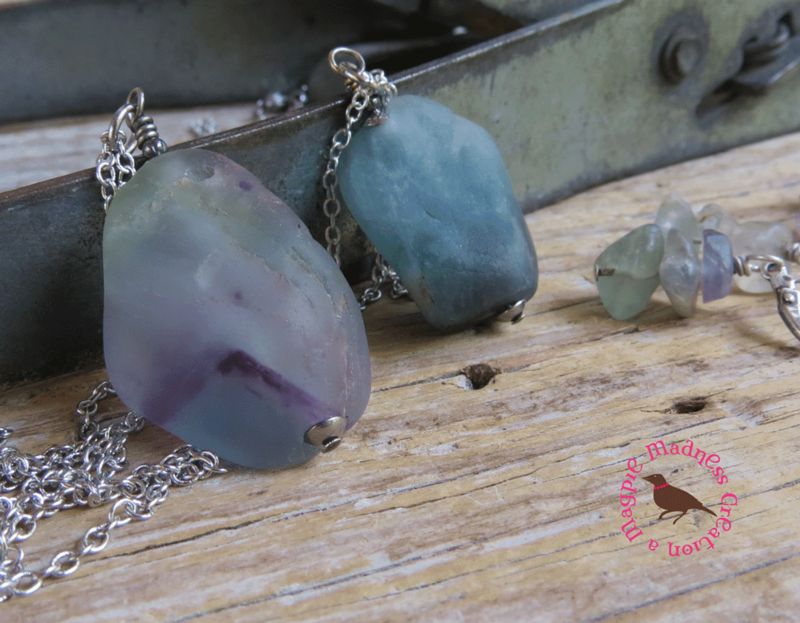 Fluorite is considered to absorb and neutralize negative energy and stress. An excellent learning aid, Fluorite is alleged to increase powers of concentration, self-confidence and helps in decision-making. 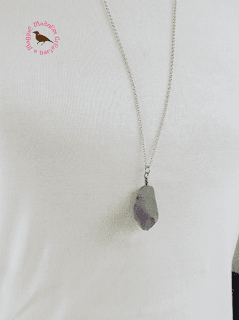 It encourages positivity, balances the energies, and improves balance and coordination, both physically and mentally. 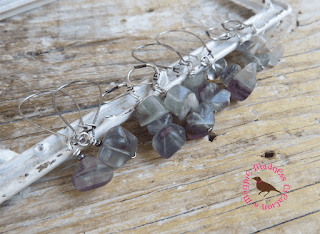 I made earrings as small as one fluorite chip, three stacked chips, or even a pair with three smaller green stacked chips. Choose below. Each stone has natural markings and is uniquely different, but will look very similar to the ones pictured above. 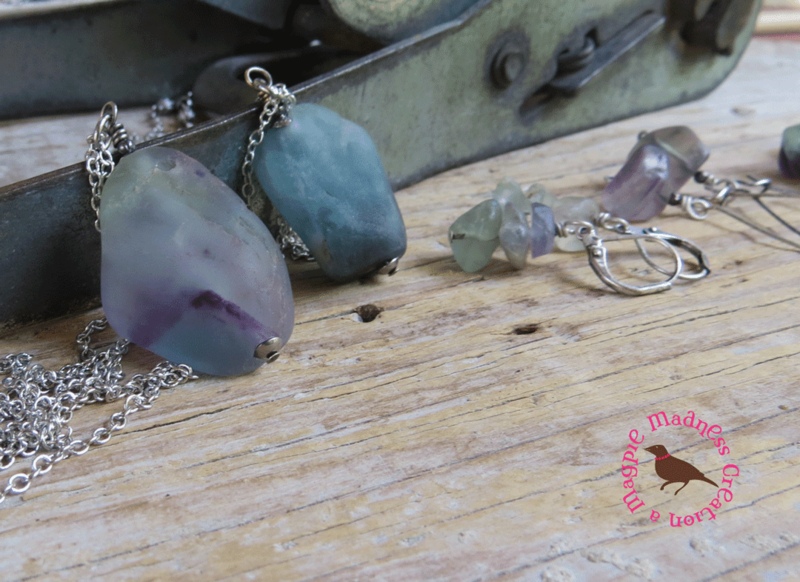 These stones have a translucent clear base with hints of purple, green, gray and blue. See earrings here and matching pendants here.